As a result, the telco expects FY19 EBITDA guidance to range between $8.7 - $9.4 billion, excluding about $600 million in restructuring costs. As a consequence of Telstra2022, up to 8,000 employee and contractor roles will be impacted, reducing about 30 per cent in labour costs for the telco. 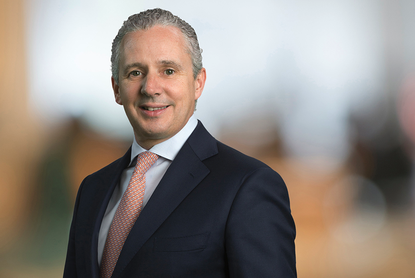 “In the future, our workplace will be a smaller, knowledge-based one with a structure and way of working that is agile enough to deal with rapid change,” Telstra CEO, Andrew Penn, said. “This means some roles will no longer be required, some will change and there will also be new ones created. Telstra said it will also invest in about 1,500 new roles to build new engineering capabilities including software engineering; information and cyber security. For employees that will be impacted by these changes, the telco is placing $50 million in funding behind two programs - a transition program for employees that will be leaving with enhanced outplacement support. For remaining employees, Telstra will provide support to upskill and transition to new ways of working in a leaner and more agile organisation. The ‘Telstra2022’ strategy stems from the telco's strategic investments announced in 2016, and will be made up of four pillars involving establishing a standalone infrastructure business; simplify its structure; a cost reduction program and portfolio management; as well as simplifying its product offerings, eliminating customer pain points and creating all digital experiences. Telstra InfraCo, to be launched on 1 July, was also announced in order to "drive performance and set up optionality" post the National Broadband Network (NBN) rollout. The standalone infrastructure business unit will have its own CEO reporting to Telstra CEO Andrew Penn. “The rate and pace of change in our industry is increasingly driven by technological innovation and competition. In this environment traditional companies that do not respond are most at risk," Penn said. In June last year, Penn flagged that the telco urgently needed to transform its business including a new organisational structure for the company’s operations footprint, to provide end-to-end responsibility and reduce complexity in four key lines of business: Networks, NBN and Commercial Delivery, IT and Digital Solutions, and Customer Service Management. At the same time, it also announced that 1400 staff will be retrenched as part of a long term strategy across the business.